In this edition of Franklin AID, we continue our series on solar pumping systems, specifically the configuration and wiring of solar panels. Though this step is relatively straightforward, it is a critical one. A system could have all the right panels, but if they are not wired together correctly, the controller/motor won’t receive the voltage and/or current needed to fulfill the system’s water requirements. 1) When panels are connected in series, the total voltage delivered is the sum of the voltage produced by each panel. However, the amount of current (amperage) available will only be the current produced by a single panel. This is very similar to what happens when two or more pumps are connected in series. The total head produced will be the sum of the pressures produced by each pump, but the flow produced will remain equal to the flow of one of the single pumps. 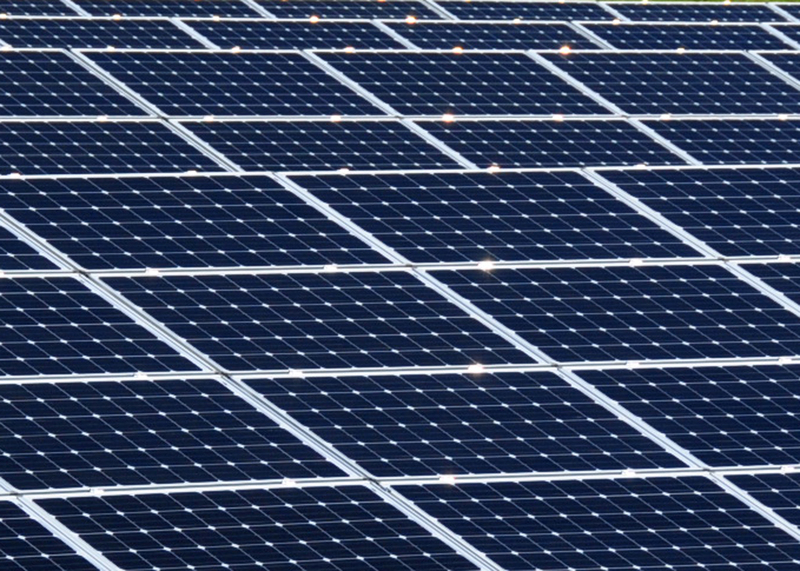 2) When solar panels are connected in parallel, results are flipped. The currents become cumulative, but not the voltages. Once again, this is very similar to connecting two or more pumps in parallel. If the intakes and discharges of two or more pumps are connected, we produce more flow, but the pressure generated will only be the pressure generated by a single pump. So how are solar panels connected in series and in parallel? Using our pump analogy again, think about connecting two or more pumps in series. The discharge of the first is connected to the intake of the second and so forth. Likewise, to connect two or more solar panels in series, the positive terminal of one solar panel is connected to the negative terminal of the next. The positive connection of the panel can even be thought of as the “output” and the negative terminal as the “input”. This is shown in the diagram below. To wire two or more solar panels in parallel, all of the positive terminals are simply connected together and the all of the negative terminals are connected as seen below. What about a combination of panels in which some are wired in series and others in parallel? The same rules apply, of course. Voltage will add up for those panels that connected in series and current will add up for those panels connected in parallel. In some installations, a combination of connections may be needed to produce the voltage and current required. 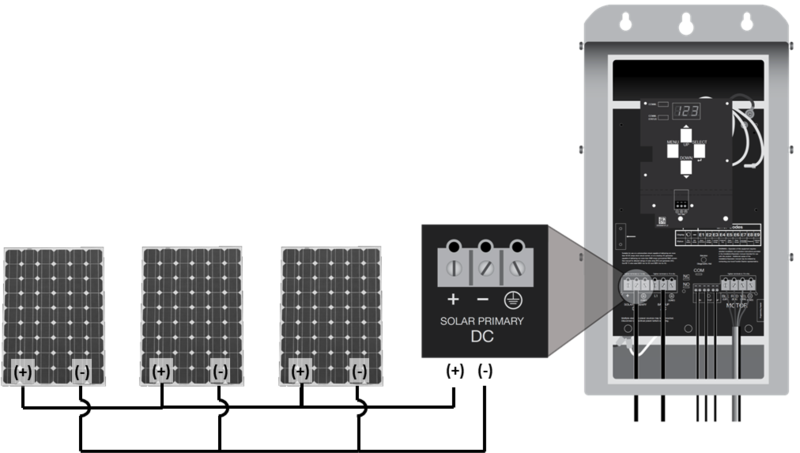 The good news is that Franklin Electric’s SolarPAK Selector provides the needed panel array configuration for any given installation. In that segment of the Selector, note that in the first column of the Panel Array Configuration box, the term “String” denotes how many panels should be wired together in series. The second column indicates how many strings (groups wired in series) should be wired in parallel. 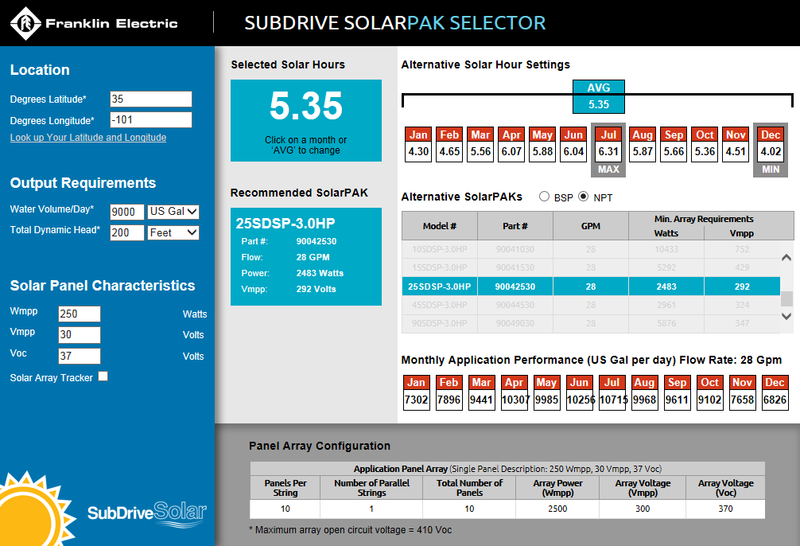 Looking at the example we used in the last post, the SolarPAK Selector tells us that we need ten of the panels we have specified and that they need to be configured in one parallel string (one string of ten wired in series). 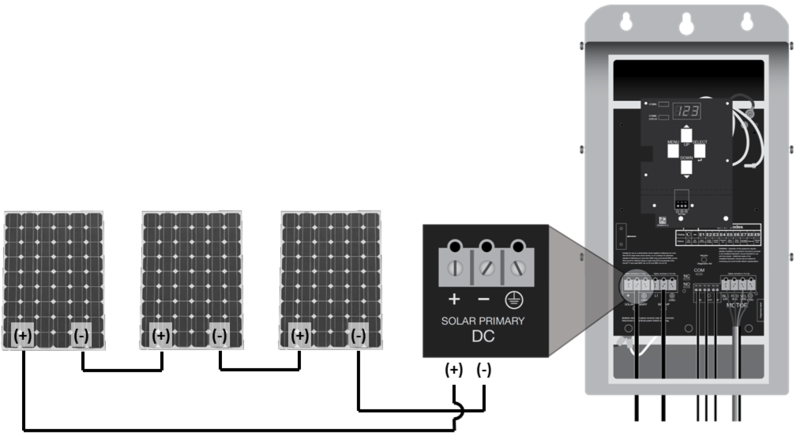 Once again, we’ve only provided three pieces of information – location, water requirements, and the panel characteristics supplied by the manufacturer, and Franklin’s Solar Selector has done the rest, even how to connect our panels. When it comes to solar-powered pumping systems, they all start with the panel. After all, it’s the panel that captures the sunlight needed to run the system. The electricity to run the pump and motor in any solar-powered system resides in the property of certain types of silicon crystals to produce a small amount of DC voltage when exposed to light. This is called the photovoltaic effect, and it is often just abbreviated PV. The term photovoltaic or PV system simply refers to a solar system that generates electricity using this property. When silicon crystals are connected together, they can generate useful amounts of electricity. One unit of these connected crystals is called a solar cell, and dozens of cells are contained in a single solar (photovoltaic) panel. Several different variables are associated with solar panels, but for a pumping system, we only need to consider four values: Voc, Vmpp, Impp, and Wmpp. Voc stands for open circuit voltage and is exactly what the name implies. That is, with no load (zero current being delivered), the array will generate this amount of DC voltage. This is similar to measuring AC voltage from the power company in a conventional water system when the motor is not running. Unlike AC power from the power company, however, once we start to pull current (amperage) from the array (to drive a motor for example), the amount of voltage produced will start to fall off as the amount of current increases. This is remarkably similar to a pump curve. That is, Voc can be thought of as the shut-off head. This point where the most power is delivered is denoted by Wmpp, or maximum power point watts. It’s also sometimes called just Pmax or maximum power. The voltage and current at this point are called Vmpp and Impp for maximum power point voltage and maximum power point current, respectively. All panel manufacturers provide the values Voc, Vmpp, Impp, and Wmpp for each of their panels. For example, in the data sheet excerpt below, Vmpp is 32.1 volts and Impp is 8.42 amps. Notice that when those two are multiplied (32.1 x 8.90), it equals 270 watts. The values above are at standard conditions. Since the amount of energy produced by a solar panel is dependent on the amount of light striking it as well as the ambient temperature, the industry has defined a standard set of conditions to ensure that different panels from different manufacturers can be compared side-by-side. In real-life conditions, the actual values will be somewhat more or less than listed by the manufacturer. Today, dozens and dozens of companies manufacture solar panels. In most cases, your local distributor can probably make some recommendations. Although the values above are for a single panel, most solar pumping systems will require more than one. The question then becomes, “for my given water requirements, how many panels do I need?” With today’s web tools, calculating this is quite easy. We’ll cover this topic in the next post of Franklin AID. What was the first thing you ever learned about electricity? Most likely, it was that electricity and water don’t mix.